CARFAX One-Owner. Clean CARFAX. Silver Ice Metallic 2018 Chevrolet Equinox LT AWD 6-Speed Automatic Electronic with Overdrive 1.5L DOHC CLEAN VEHICLE HISTORY, ONE OWNER, 3-Spoke Leather-Wrapped Steering Wheel, Confidence & Convenience Package, Driver Confidence Package, Driver Convenience Package, Dual Zone Automatic Climate Control, Lane Change Alert w/Side Blind Zone Alert, Outside Heated Power-Adjustable Mirrors, Rear Cross Traffic Alert, Rear Park Assist w/Audible Warning, Rear Power Liftgate, Universal Home Remote. FREE CAR WASHES !!! FREE LOANERS !! !Prices valid for 24 hours. Recent Arrival! 24/30 City/Highway MPG All price do not include taxes, title, license, prep, doc fee, warranties or packages. While we try to ensure online merchandising accuracy;dealer not responsible for website errors. Please call to verify price. Prices valid for 24 hours. 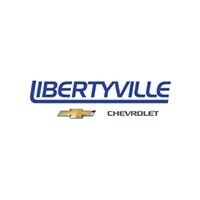 Libertyville Chevrolet also has options to stretch your budget even further, like our used vehicles under $15k and trade-in program. Ready to shop our used SUVs in person? Contact us to get started!